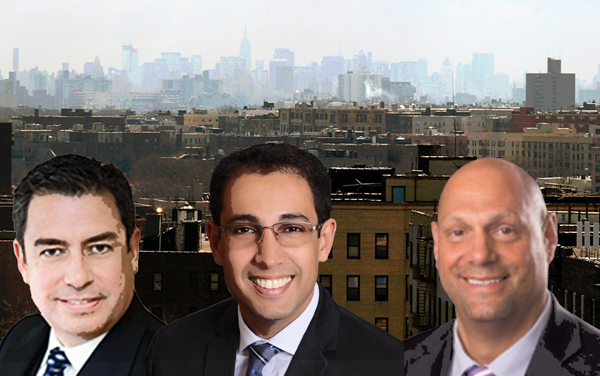 The brokerages selling the most amount of residential real estate in the Bronx are predominantly franchises of international and regional firms, according to an analysis of MLS data by The Real Deal. Exit Realty Search closed the highest dollar volume in sales in the Bronx from April 1, 2016 to March 31, 2017, selling about $95 million worth of residential properties at an average price of $387,964, the data shows. Exit was followed by Keller Williams Realty NYC Group, which sold about $87 million worth of properties at an average price of $389,619, and Halstead Property, which sold about $59 million worth of residential real estate at an average price of $347,960. Exit Realty also took up the greatest percentage of real estate transactions in the Bronx at 6.72 percent, again followed by Keller Williams Realty NYC Group at 6.17 percent, the data shows. Exit Realty sold 246 properties overall, while Keller Williams Realty NYC Group sold 224 homes and Halstead Property sold 170, according to the data. Although the top three Bronx firms by agent count—Exit Realty, Keller Williams Realty NYC Group and Besmatch Real Estate—were all also in the top 10 sellers list, multiple companies did not feature on both rankings. NY Future Homes Realty and Coldwell Banker Signature Properties, for instance, were both in the top 10 Bronx firms by agent count but not in the top 10 for sales volume, while Re/Max and Sotheby’s International Realty were in the top 10 for sales volume but not in the top 10 ranking by agent count. Benny Diasparra, owner of Exit Realty, said that the Bronx is a hot market for sellers, to the point where inventory has been cut in half from the first quarter of 2015 to the first quarter of 2017, according to his company’s analysis. Gus Perry, who oversees Riverdale sales for Halstead, said the brokerage is hiring several people each month for their Bronx offices and hopes to open a new office in the South Bronx sometime this year. One of the few local firms to place in the top 10 for sales was Elite Real Estate Group, which principal Musa Balidemaj founded in 2013. Balidemaj said he was not intimidated by having to compete with larger firms in the borough. “I honestly feel that I have no competition,” he said. Elite Real Estate Group mainly works on sales in northern Bronx neighborhoods like Morris Park and Pelham Bay, and Balidemaj is more skeptical of the South Bronx’s resurgence than some of its evangelists.